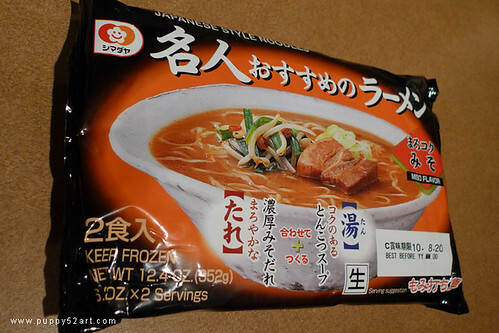 Yes frozen ramen ^^; Food post ahead :P you been warned! Occasionally husband and I would have some instant ramen/noodles at home, hoping to find something which will tide us over for craving of authentic Japanese food. 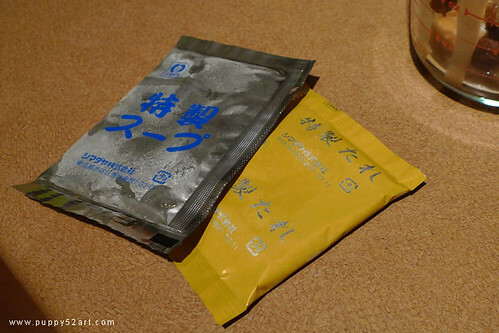 Notes: I personally like the texture of this noodle, reminds me a bit of soba? 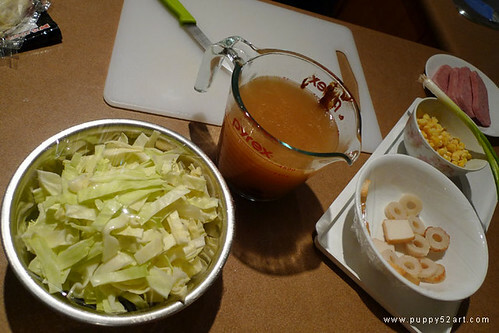 Husband doesn’t like the noodles as much ^^; The soup base is pure win in our books tho! The frustrating thing about eating out is, we have really yet to find an actual place locally which satisfy our craving due to the style/taste of cooking being inconsistent at various places. 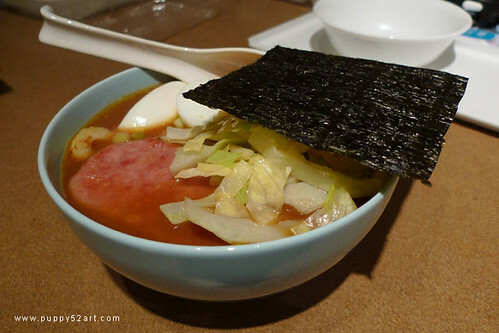 One of our favorite Japanese cuisine has to be ramen. 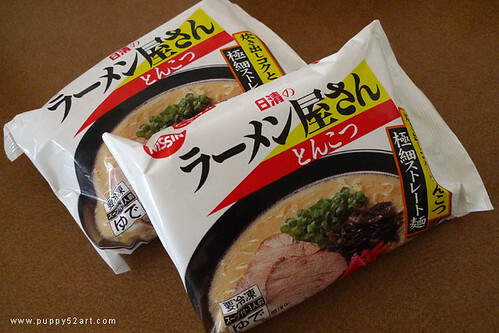 There is no actual meat or vegetables inside the package, but what makes or breaks the ramen for us is the broth base and the final texture of the ramen after cooking. 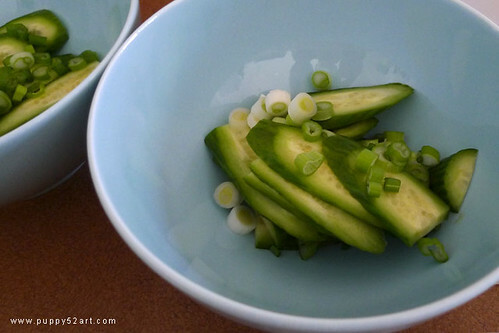 You need to add around 1 and half cup of hot water to, to go with the ramen which you cook for around 3-4 minutes to, depending on the instructions per different brands. 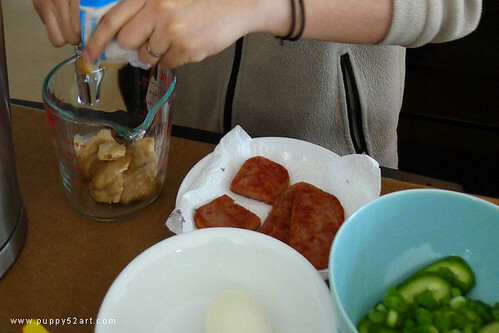 To make it a more satisfying meal, I would prepare some sides to go with the ramen, example a boiled egg, either spam or meat/vegetables left over from dinner the night before. lol. My wife eats frozen ramen a lot. We buy the big pack of 5 one at T&T, and use chicken broth. 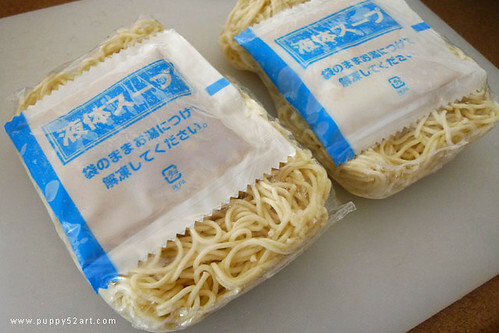 Frozen ramen, that’s the first I’ve ever heard of it, now I gotta find some! Thanks for the pics,now I know which brand to properly choosefrom. 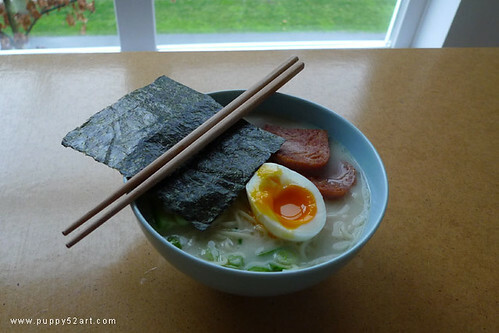 ramen looks tasty! minus the meat for me. 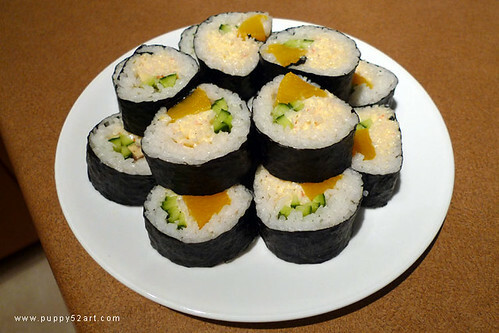 and the sushi looks really good! peach sounds daring and exotic in there! 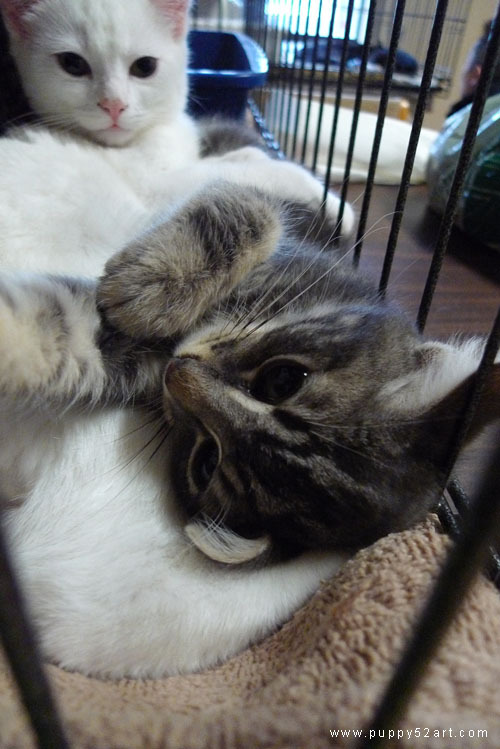 awww at shelter kitties so precious! Good luck! :D Hope U enjoy! hehe peach gives a sweet taste for sure! Is that spam you are using?! I don’t think I’ve really had Japanese ramen before… I usually eat the Taiwanese kind or Korean. But that first one looks really good.